Next to rice, noodles is probably one of the most consumed product here in Asia. Take my brother-in-law E, for example. He told me that he loves noodles very much that he doesn't mind having noodles as often as possible every single day. I guess, he loves noodles just the same way I love having rice or pasta. 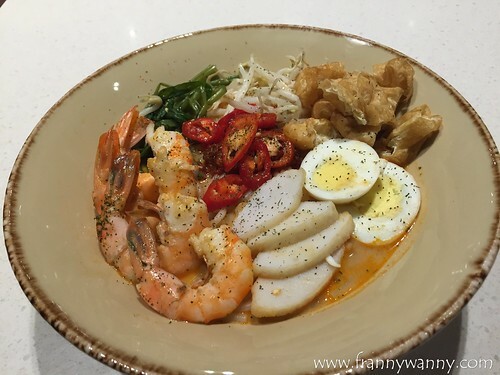 So, when E and Pan came to Singapore for a visit, I made sure to prepare a nice bowl of noodles for him to try. Coincidentally, I recently discovered Kang Kang Express Meal Kit Noodles which is a locally made instant noodles that comes in three flavors -- Prawn Mee Soup, Curry Mee and Laksa. Since I prepared this for breakfast, I thought of making the Prawn Mee Soup which is also my personal favorite. 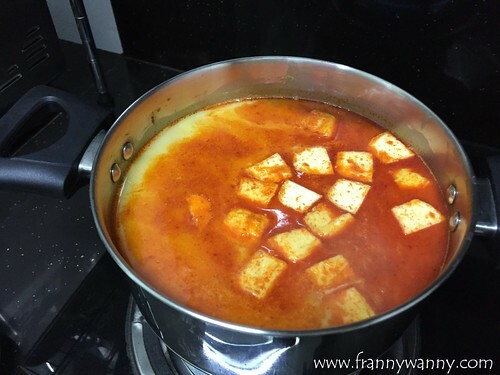 Before I show you how it looks like, let me tell you why I love Kang Kang Express Meal Kit. First of all, it has no (yes, ZERO) preservatives. Secondly, it underwent pasteurization giving the noodles a longer shelf life and lastly, while I'm not sure if it's free from MSG, it wasn't very salty so you don't have to worry about feeling thirsty after enjoying an entire bowl of noodles. 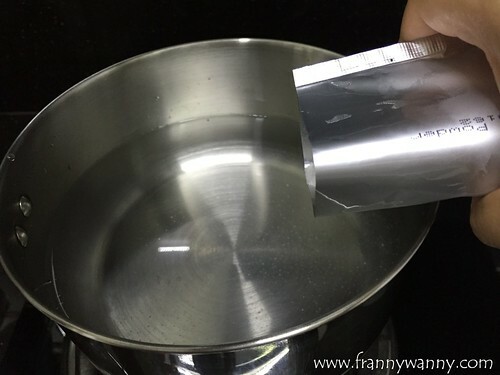 1) Boil water following the recommended amount stated on the package. I usually have 1.5 cups for one pack. 2) Once the water has started boiling, slide in the noodles and give it a gentle nudge to loosen up the noodles. Add in the sauce mix and stir. 3) Wait till the soup boils again and turn off the heat. Serve and enjoy! Aside from E and Pan, I was also able to introduce this to my Aku who enjoyed the noodles too. 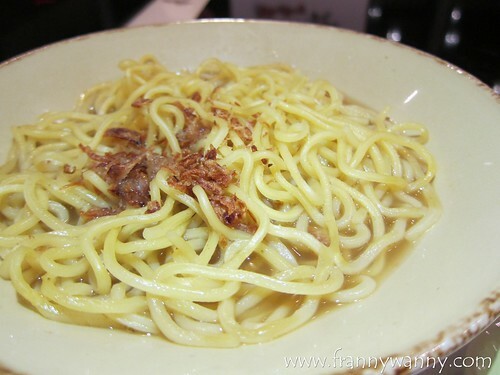 He said that the Hokkien Prawn Mee has a nice springy noodle which actually tasted very fresh. This is also what I love the most about Kang Kang's Prawn Mee Soup. You see, I try to avoid having instant noodles as I'm not a fan of the type of noodle the comes in almost every single packet, however, my perspective about instant noodles has changed after enjoying a couple of packs of Kang Kang Express Meal Kit. Aside from having noodle soups, you may also use the same noodle to stir-fry or to create your own noodle creation. The choices are pretty much endless. 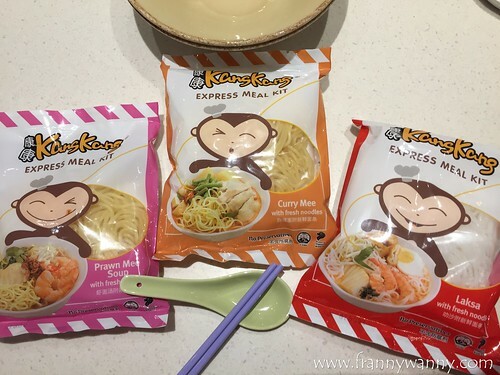 Check out Kang Kang Express Meal Kit in most major supermarkets in Singapore. This retails for S$2.95 and doesn't require to be refrigerated for 30 days.